This unique invitation is made to look like a vintage old hollywood movie ticket or theatre ticket with an art deco theme. Printed on a very thick 110lb metallic gold cover stock and with a tear-away ticket stub, this invitation is bound to leave your prom guests stunned and thrilled for an amazing celebration. Receiving this invitation will be so fun to for your guests. 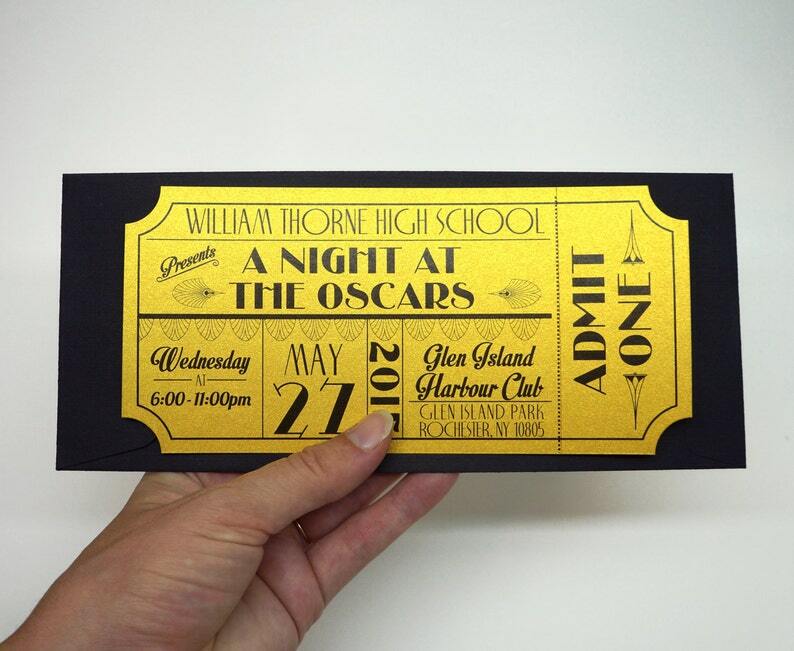 Being able to tear their own ticket stub will make it feel like a real movie ticket and get them into the spirit of the prom. Each invitation set is priced at $3.75 each. There is a minimum purchase of 25 invitations.